The Office of State Fire Marshal offers online services to a variety of professionals across North Carolina. 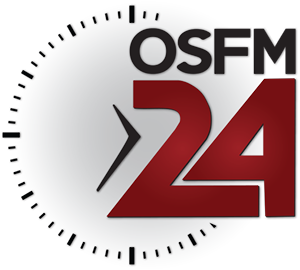 OSFM 24 allows you to easily access these services any time you need them. The State of North Carolina requires that any user of North Carolina Online Applications must have an NCID. To access your transcript or to register for Qualification/Regional Testing you will be required to have an NCID. Please read all the information below before attempting to access your records. You will be required to enter your information one time to link your records to your NCID. Once you have performed this step each time you return to access your transcript or register for Qualification/Regional Testing you will be required to enter your NCID and password. Please keep up with your NCID and Password. The staff at the OSFM can't reset your NCID you must contact NCID to reset your NCID. You will be required to enter your information one time to link your records to your NCID. Once you have performed this step and your records have been linked, when you return to the OSFM 24 Login you will only be required to enter your NCID and password. Please keep up with your NCID and Password. If you don't have an NCID Please click on the instructions icon to register for an NCID. If you have problems with your NCID please contact NCID. OSFM staff can't create or reset your NCID. Advise the first person you speak with at NCID that you are Fire and Rescue Personnel. If you have problems questions regarding your transcript or registering for a qualification/certification exam, please contact Devin Cockrell by email at the following: devin.cockrell@ncdoi.gov. To contact Jessica Lashbrook by email at the following: Jessica.lashbrook@ncdoi.gov. Please Read the appropriate set of instructions before proceeding with the Sign In. The Fire Chief must sign into Fire Bridge and set up user before anyone in the department can use the Fire Bridge Software. Note: You must be set up in Fire Bridge by your fire chief before you can access the software.